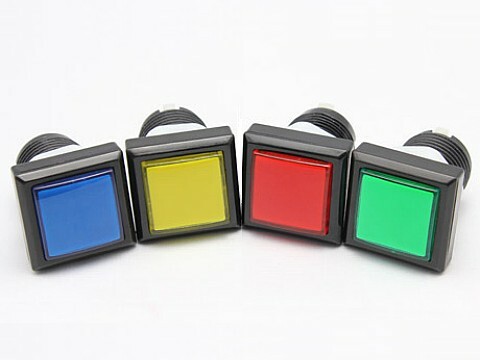 Add a Label for an extra $0.75. 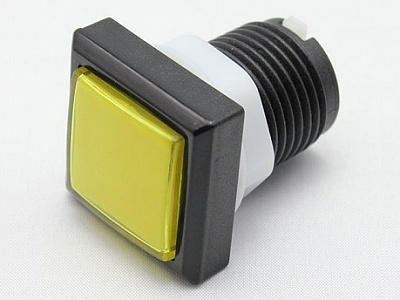 These are a square illuminated button measuring 34mm x 34mm, with a slightly domed top. 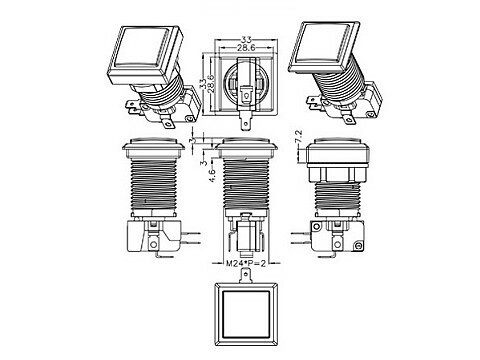 The plunger can be disassembled for a label to be inserted under the transparent cover. 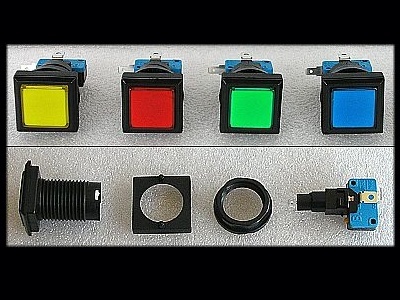 The buttons come with a 6mm ‘spacer’ which allows the button to be mounted into a 25mm diameter hole. 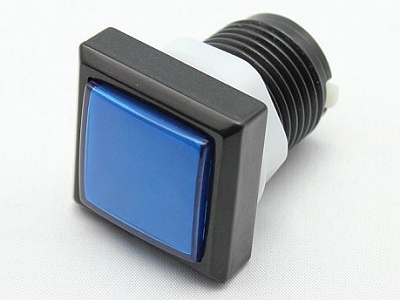 By removing the spacer, the button can achieve a very low profile on your control panel, however it then requires a SQUARE hole 30mm x 30mm and at least 8mm deep to be mounted in that fashion. 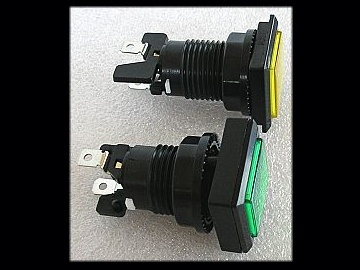 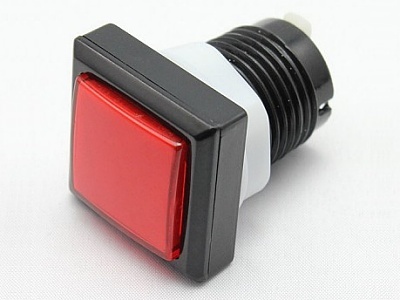 Each pushbutton comes with a lock nut and arcade quality microswitch. 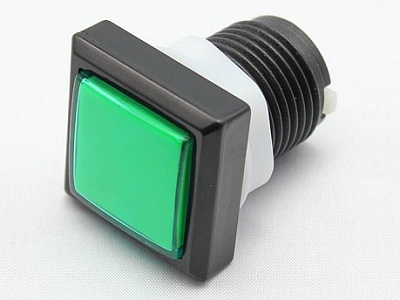 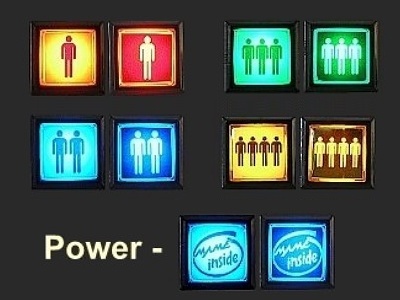 They are also supplied with a COLOURED 12v LED for illumination, which can be connected to an appropriate power supply without any modification.